A new addition to the family is a great excuse for giving gifts. 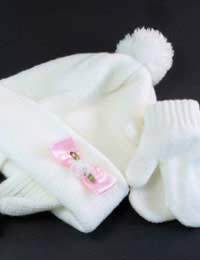 Baby clothes are the number one present idea and there is a world of choice out there. Keep the baby comfortable and cute with these top tips. Baby clothes are so cute. We can’t help but coo over the items on the racks. Pretty fabrics bows, buttons and styles make us all go ga-ga! But try and control yourself! Its very important that you don’t get carried away. Functionality is key. An outfit that looks charming on the hanger may actually end up being a time-consuming nightmare for both parent and baby! Endless buttons to do up might look pretty but they are not practical when mum or dad is going to have to change the nappy a dozen times a day. Clothes with functional fastenings are the order of the day. Look for velcro-based or popper based fastenings and you will be helping everyone out! You may have seen an adorable outfit and might be thinking about getting it for the newborn arrival to the family. You have checked the fastenings and they are practical but before you head to the cashier think about something else - think about comfort. What might seem like a great looking item of clothing but actually be very uncomfortable for the baby to wear. If the fabric is delicate and itchy or if the neckline is high, you may be inducing baby to tears. Before you buy something, feel the fabric and think about how it will sit when baby is lying down or wriggling around in the cot. If it rides up and constricts the throat, it’s a definite no-no. Look at the fabric label. If it is a synthetic fabric, steer clear and pick something with natural fibres only. Unlike the synthetic materials, natural fibres breathe and will regulate the baby’s temperature, cooling him or her down when necessary. If a label says dry clean only don't even think about purchasing! The last thing mum and dad want to be doing is taking baby’s smalls to the dry cleaners and racking up a huge bill! Baby clothes should always be washable and if you select items with natural materials, you will be safe from this trap. One of the big dilemmas faced when buying clothes for babies is trying to decide what size to go for: do you splash out on a gorgeous outfit in a newborn size even though it will inevitably be too small in a few weeks time? Or do you buy an item that will fit perfectly in a few months? If you are mum or dad, practicality is key and you should buy items that are slightly bigger than baby. That way they will last longer and the expense won’t seem so wasteful. Friends and relatives can buy the fun outfits but even they should pay attention to some sizing commandments. They should pick out clothing with elasticated waistbands that can grow with baby and trousers or skirts with straps which can be adjusted. This will maximise the length of time that the item can be worn for. Baby clothes are cute and fun to buy but don’t throw caution to the wind. What might look adorable on the hanger may not be the ideal gift. Think about fit, fabrics and the longevity of the item before you pay for it. Do this, and you simply cannot go wrong!